"Tetsuoooo!!" Anime fans must see this. 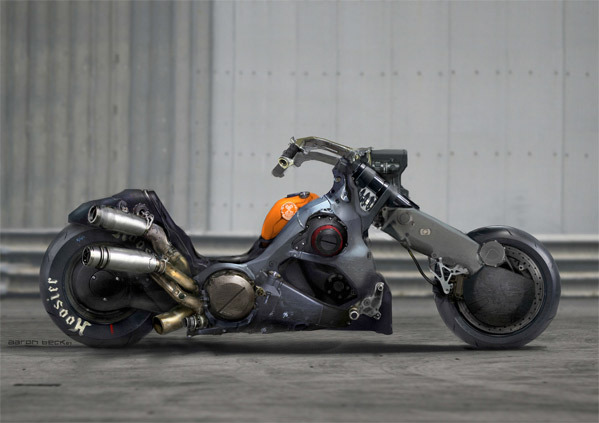 This is what one version of the live-action Akira movie might've looked like, if it had been made. 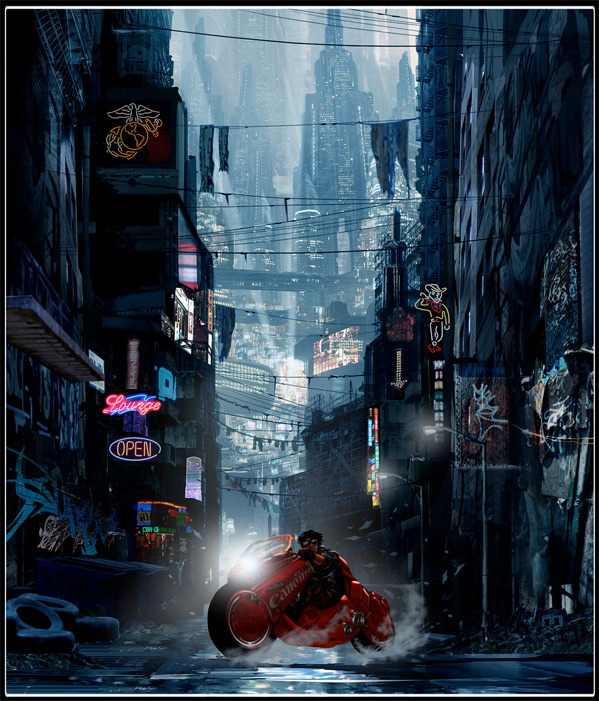 Thanks to a tip from a friend we've discovered a stash of concept art from director Ruairi Robinson on his own site for the version of Akira he developed at WB while he was attached back in 2009. He later went on to direct the lackluster sci-fi Last Days on Mars as his first feature. There's over 10 beautiful pieces of art, some costume shots and of course the motorcycles and New Tokyo, plus even a few storyboards for referencing scenes, too. This actually looks like it would've been awesome, there's even a sketch of what looks very much like Chris Evans as Kaneda, plus Joseph Gordon-Levitt. Here's a quick look at 10 pieces of Akira art, direct from Ruairi Robinson's website - see even more there. 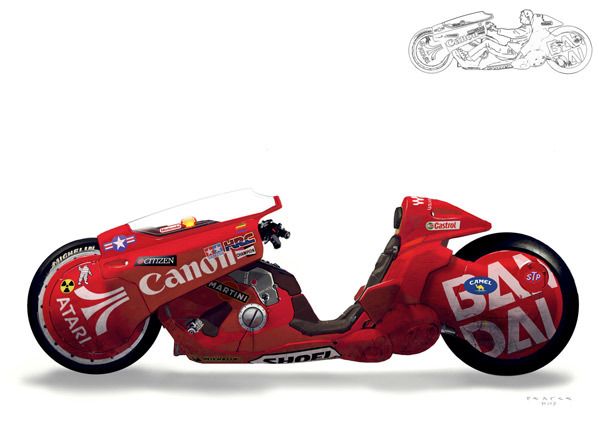 I love that poster-style shot in the middle, of Kaneda on his red bike. This is an impressive take, at least presented in concept art form, and I still hope that one day the Akira movie will be made and it's awesome. 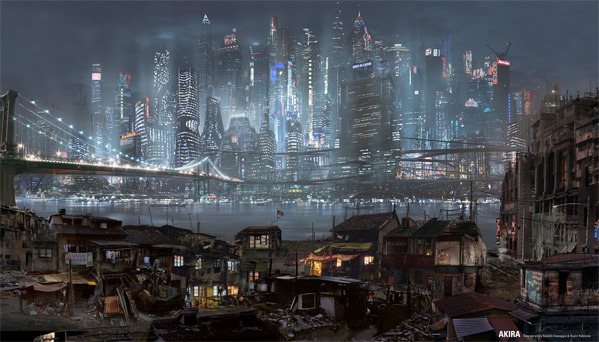 The hints in this concept art show that his world was gritty and neon, but still violent. While it does look a bit polished, the imagery looks cool on paper and I would love to see it in action. I wonder if Ruairi made a short sizzle reel for them as well? I would love to see that, too. Ruairi Robinson's filmography includes that fantastic robot short Blinky™ and the sci-fi film Last Days on Mars, but the title on his website says "Ruairi Robinson for rent." Must be looking for more work, I hope he finds it. For now, the Akira movie remains stuck in development, but it's still exciting to get a glimpse at what one version would've looked like. Cool? I hope it's made too. I like JGL and Chris Evans as Tetuso and Kaneda. Akira is one of the best animes I have ever seen. I believe a live action movie is completely possible. if it has to be done with white people I say go with JGL Evans. But the names.cannot be changed! Tetusooooo! And Kanedaaaaaaa! Are essential names. 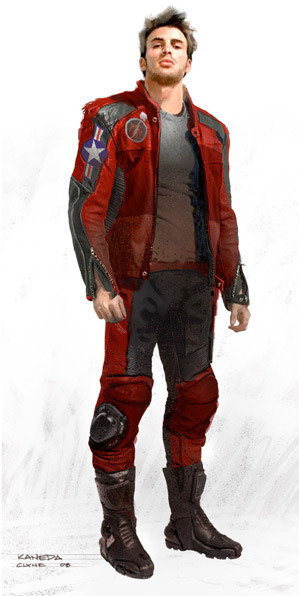 I`m not sure about Chris Evans as Kaneda. The hystericalness of his shouts and facial expressions call for a asian actor I think. Chris Evans may be too masculine and too huge for this role. 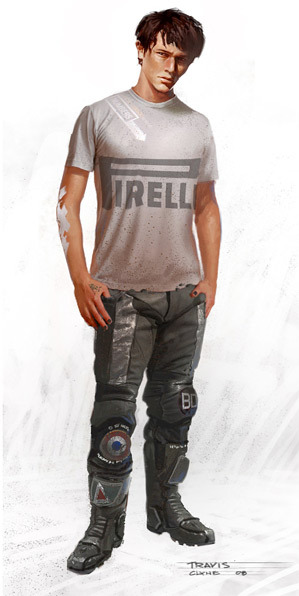 Ive been so skeptical of this project, especially with how in and out its been for the past few year, and especially being made with amercan actors, but man, if this concept art s any indication of the quality of the movie, I will see it in a heartbeat. I love the source material, lets hope all this delay has been worth it. WB shud let Neill Blomkamp direct it. I don't care if the leads are white/black/yellow, as long as they are teens. No way. Elysium was garbage. Blomkamp is a one trick pony. This, Ghost in the shell, Logans run... make it happen and stop with the nonsens remakes of cult classics. I don't think there's anyone better than DeHaan to play Tetsuo..
Sure there is, you just have to do some extensive casting. Completely worth it to find the right person. DeHaan already had his turn at this type of character. There are thousands of good actors out there. No need to keep reusing the same ones. For all you know you could find someone better than DeHaan for the part. They kinda did that with him in Chronicle tho. He has the forehead for it for sure. 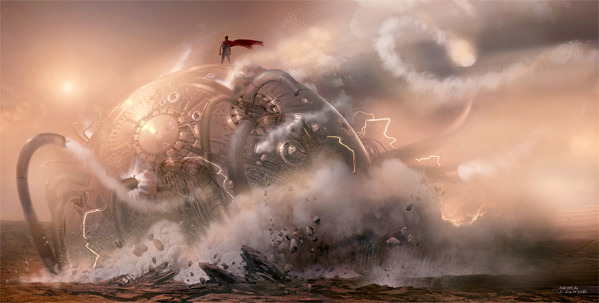 An Akira movie would be a huge B.O. flop domestically, which is the only significant market for film distributors. Not going to happen. Personally, I have nothing against Asian actors for the role either. Moreover, I believe that it might have worked if they had not Americanized it.